I've loved Fifth Harmony since they were just Normani Hamilton, Lauren Jauregui, Dinah Hansen, Ally Hernandez, and Camila Cabello — five girls auditioning for the U.S. version of The X Factor back in 2012 who were eventually put together as a girl group that we now know as, well, Fifth Harmony. Watching them grow as artists and as a collective girl group throughout the competition was great, sure. But it was even better when they released their debut album, Reflection, earlier this year and it was full of absolute bangers from start to finish. They've easily become one of my favorite artists in pop music, and it seems like they're ready to blow our minds again. That's right, Fifth Harmony are working on their sophomore album already, and it's going to be totally different from Reflection. In a new interview with SPIN, Fifth Harmony revealed that they're teaming up with big name producers like Max Martin and Stargate for their follow-up album and that they actually began the recording process at the beginning of October. While they're only in the beginning stages of piecing their second release together, there's one thing the girls are certain of: this time around, they're ready to show us a whole other side to themselves that fans won't be expecting. "This is definitely another level for us," Hansen explained. "t’s a side of Fifth Harmony that no one’s really seen. In the beginning, we were super happy. Our first album was very jumpy. This time, we’re showing who Fifth Harmony really is behind closed doors. We’re going with that kind of sound in a way that feels like a great transition for us." If that's not exciting enough, Hansen also revealed that instead of relying entirely on outside writers to pen their material, the girls themselves are getting involved in writing their own songs this time around. "At the end of the day, we’ll have these little writing sessions in the studio. We’re writing [about] our own experiences about love and everything, stuff that’s actually what’s going on right now. We’re all 18, 19, 22, so a lot is going on in our lives. We’re just happy that we get to finally have a say now with what we want and the direction that we want. We’re hoping that the audience can tell." I don't know about you, but now I'm extra excited. Fifth Harmony have the unique opportunity to really make a name for girl groups in America. Traditionally, it's not something that's ever gone over particularly well in this country. Sure, we all had Spice Girls mania back in the '90s, but they were English, anyway. Same with Little Mix (who are also delightful). 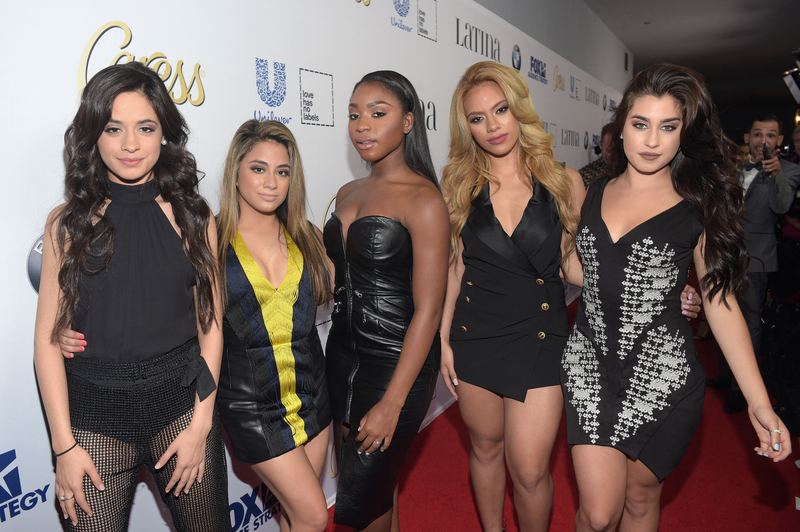 Thank goodness we've got Fifth Harmony — they're just what the pop world needs.